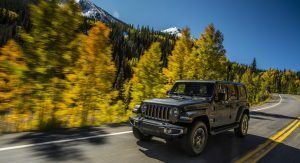 Diesel enthusiasts can rejoice as it appears the 2019 model year Jeep Wrangler will be sold with one of FCA’s diesel powertrains in the U.S. 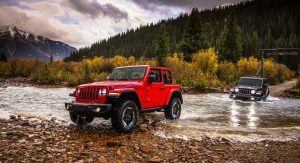 Dealership order codes uncovered by JL Wrangler Forums list a 3.0-liter V6 CRD diesel with an engine start-stop system as an available engine option for the 4-door Unlimited Sport, Sahara, and Rubicon models. 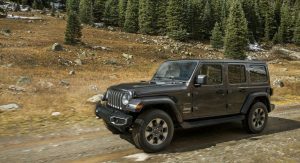 We all knew the latest-gen Wrangler would be offered with a diesel engine in the United States but it was unclear exactly when this engine would arrive. 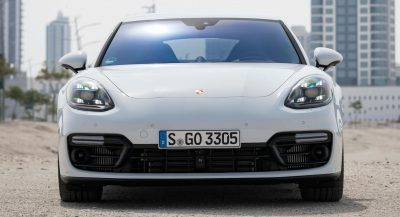 Additionally, it wasn’t known if this diesel would be the same 2.2-liter Multijet II diesel engine delivering 197 hp that’s offered throughout Europe. 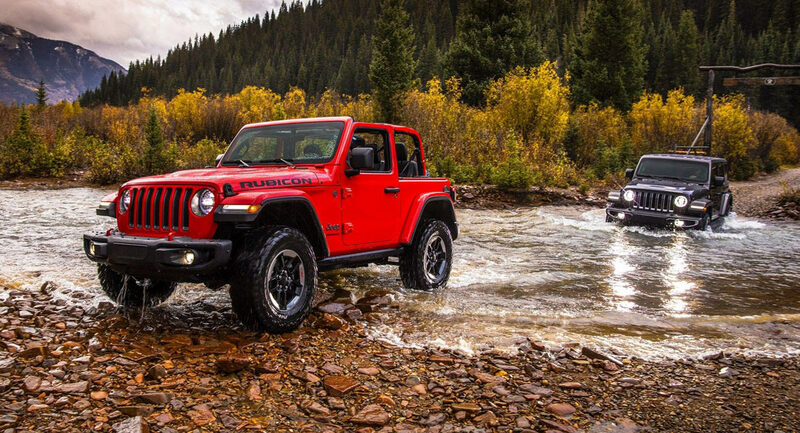 The diesel Jeep Wrangler is coming for all your towing needs. 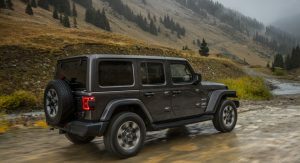 JL Wrangler Forums says that it has also uncovered a mysterious order code dubbed ‘22’. It remains to be seen what this code represents but there’s a possibility it could be used for a diesel Wrangler variant also outfitted with a six-speed manual transmission. Certain Jeep enthusiasts may lose their minds if this proves to be true. 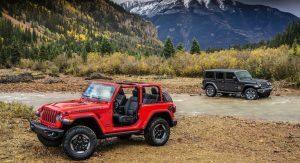 U.S. buyers of the JL Jeep Wrangler currently have two engines to choose from. The first is the company’s trusty Pentastar 3.6-liter V8 delivering 285 hp. The second is the all-new 2.0-liter turbocharged four-cylinder pumping out 270 hp and 295 lb-ft (400 Nm) of torque. 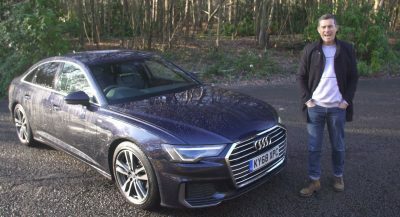 Unlike the V6, the four-cylinder comes complete with a start-stop system, electric power assist, and an extended fuel shut-off. 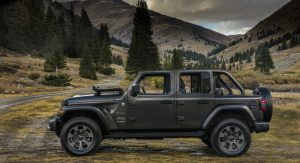 Performance figures for the aforementioned 3.0-liter V6 CRD diesel remain under wraps but it’s inevitable it will pack the most torque of the three, ensuring that it’ll be a popular choice for Wrangler owners wanting to go off-road or looking to tow heavy loads. 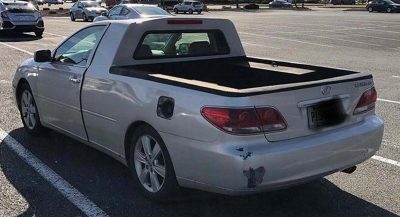 Meh… It doesn’t have the capability to tow anymore than it’s gasoline counterpart and the gas mileage probably won’t be much better. I’ll stick with my gasoline. Is that a Fiat diesel? Pass. VM Motori – was owned by Detroit Diesel… they only make diesels for OEM’s…. GM’s mid-sized pickup are from them and almost the same engine as the ECODiesel in the WK2 and RAM 1500.. NOT FIAT. 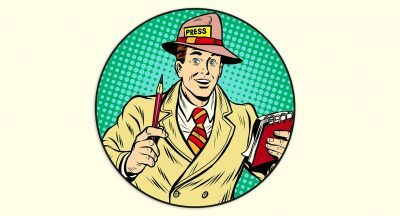 It is a clean-sheet almost finished by VM when GM owned them, then Obama’s car Zar pulled the plug. Unlike nearly ALL V-6 engines today, the bullet proof design has duel-over head cams driven by CHAINS, not 100K mile belts. I suspect they will price the option so high that it will be a sales failure. people said the same thing about the ECODiesel in the WK2 – yet you can’t find one on a dealer lot more than a couple of days after it gets unloaded from the factory.